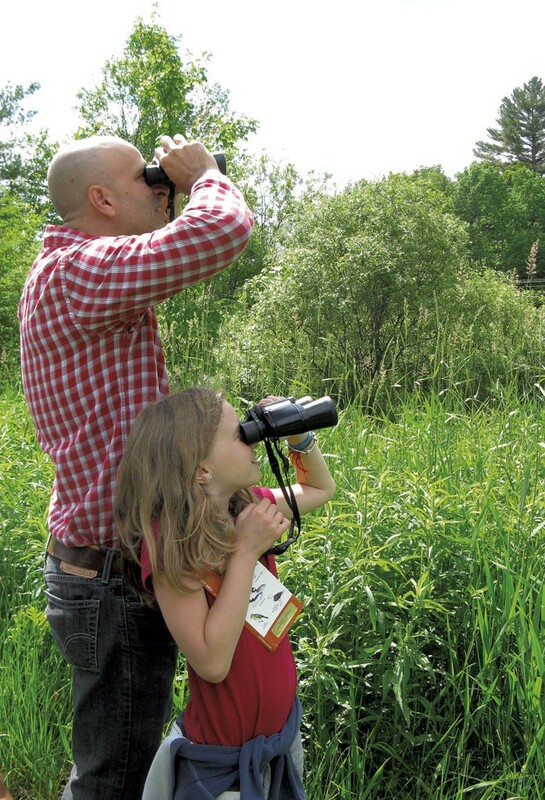 Birding with the Kids | Project | Kids VT - small people, big ideas! 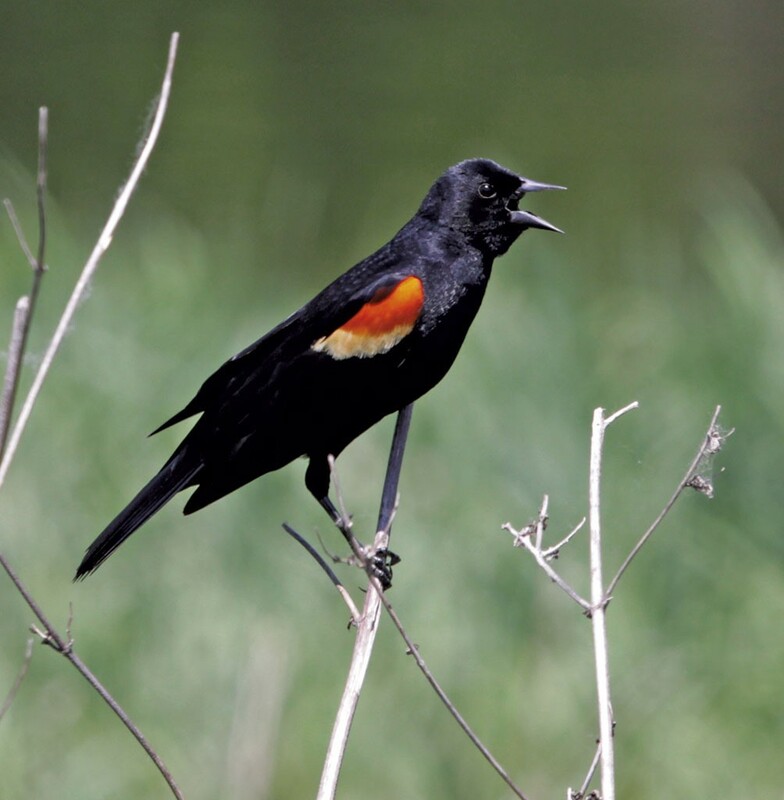 What do red-winged blackbirds, ruby-throated hummingbirds, cedar waxwings and turkey vultures have in common? They're all bird species you can see this month in Vermont. 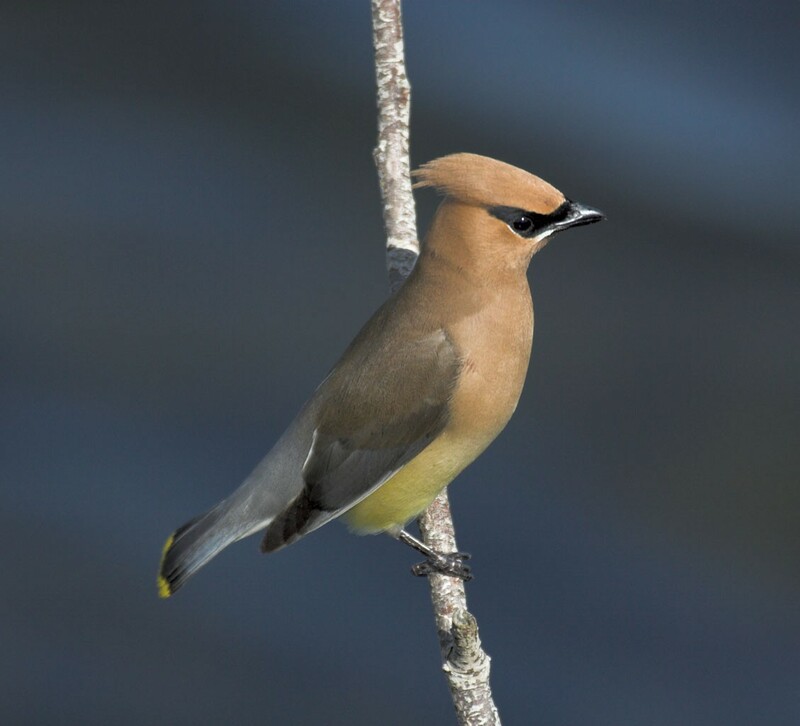 Many feathered friends who flew south during the colder months come back to the state in May, which makes June an ideal time to observe and learn about the more than 200 species of birds that live in our area. Montpelier's North Branch Nature Center and the Green Mountain Audubon Center and the Birds of Vermont Museum, both of which are in Huntington, are great places for family-focused, birding nature walks, story times and programs. Set up bird feeders on your property to attract species including chickadees, goldfinches, sparrows and cardinals. If you're in an area with bears that are active in the summer, plant bird-friendly shrubs such as elderberry, dogwood and viburnum in lieu of feeders. To attract a specific species, research the type of feeder, and food, they prefer. For example, cardinals like large, wide feeders, such as platform feeders, with ample room to perch. In addition to feeding birds, it's also a good idea to provide a water source for them, like a birdbath or a water mister. Build a nesting box and mount it on a tree or pole, avoiding areas that get lots of direct sunlight or where pesticides have been used. Purchase a kit online or find directions to make your own box at nestwatch.org. Bird cams allow you to watch live streams of owls, hawks, herons and more. They can be found at allaboutbirds.org, a website run by the Cornell Lab of Ornithology. Watch a bird's behavior before you try to identify its type. Is it collecting food? Gathering material to make a nest? Removing eggshells or bird droppings from a nest? Make a journal to record observations and drawings. Binoculars can be frustrating for the under-6 set. Make a junior version using toilet-paper rolls, duct tape and yarn. Learn different bird songs with your kids. There are lots of fun mnemonic devices you can use to remember different calls. For example, barred owls say, "Who cooks for you? Who cooks for you alllll?" Song sparrows sing, "Maids, maids, maids, put on your tea kettle-ettle-ettle-ettle-ettle." Find a list of family-friendly birding spots at greenmountainaudubon.org/index.php/birding-hotspots.